The Nordic Heritage Center is a community recreation area open to the public. The trails are free of charge. Welcome Center staffed w/ rentals available. Winter 2016 (January through March) 10 - 4 p.m. Sat. and Sun. Ski trails are lit from 4:30 to 8:30pm daily. Wax building with 26 separate wax rooms. The NHC is managed and operated by the Nordic Heritage Sport Club, a non-profit corporation with a mission to re-establish skiing as a lifestyle in central Aroostook County. The club sponsors and coordinates community recreation programs for summer and winter sports and activities (see Programs on this website) and hosts local, national and international competitive events for cross country skiing, biathlon and mountain biking competitions. Most notably, the club hosted the 2006 & 2014 Biathlon World Junior Championships and 2011 & 2016 Biathlon World Cups with great success. Over 30 countries were hosted at each of these events. The communities of Aroostook County fully embraced these competitions. 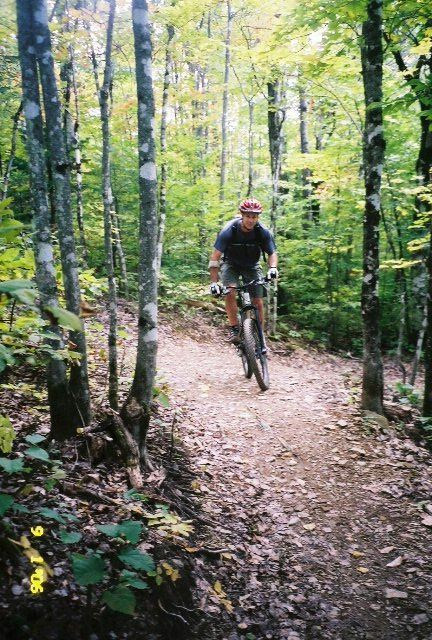 The lodge finished in 2002 is the heart of the NHC and is located at the center of the ski and mountain bike trails systems. It sits prominently above the trails and has wonderful views in all directions. Enjoy a fire in the great room. Downstairs we have restrooms complete with showers. We also invite you to take advantage of our sauna. The Nordic heritage Center has a state of the art wax building with a combination of individual rooms on the upper level and larger, shared accommodations below. Each room has a ventilation system to remove harmful wax vapors, is heated and has two double outlets per room. They come unfurnished, so you will need to bring your own wax benches and ski straps. The rooms on the upper level also have a waiting room for athletes. The wax building has restrooms and is where you will find the Competition Office. The terrain park is the perfect place for children (and adults) to learn skills for skiing and mountain biking. Located just to the south of the parking area, the terrain park has two sets of five small mounds of 5 to 15 feet high. This provides an ideal playground to learn ski skills such as edging, turning and jumping and to improve bike handling skills (see photo above).